It was fifty years ago today- Sunday December 22, 1968- today the NFL playoffs seem to go on forever- there are 32 teams in the league now and 12 make the playoffs but back in 1968 it was a different time and out of the 16 NFL teams only 4 made the playoffs. In the AFL out of ten teams only two- the two division winners made the playoffs. 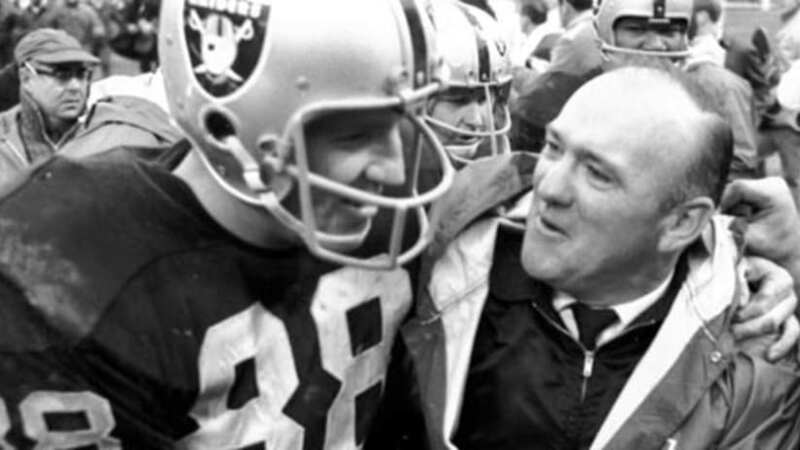 In 1968 though the AFL Western Division had a tie in the regular season for first place between the Oakland Raiders and the Kansas City Chiefs. On this day they would play a tie breaker game to see who would get the opportunity to face the Eastern Division Champion New York Jets next weekend. The Kansas City Chiefs traveled to Oakland to face the Raiders on this day. The Chiefs had represented the AFL in Super Bowl I- the Raiders in Super Bowl II. Would either team make it to Super Bowl III? This game was a blow out- the Raiders winning 41-6 behind five touchdown passes from The Mad Bomber Daryle Lamonica and the Raiders intercepting four of the Chiefs quarterback Len Dawson’s passes. It was over early- the Raiders were up 21-0 in the first quarter. The Raiders will now travel to New York to play the Jets next weekend with a trip to the Super Bowl on the line. In the NFL playoff game on this day- the Baltimore Colts- the best team in all of football during the regular season going 13-1 built up a 21-0 lead over the Minnesota Vikings at the end of the third quarter on their way to a 24-14 victory. Colts quarterback Earl Morrall who filled in all year so brilliantly for the injured Johnny Unitas went 13 for 22 passing for 280 yards and 2 touchdown passes. Pretty big numbers for the NFL in 1968. The Colts will travel next week to Cleveland to play for the NFL Championship.